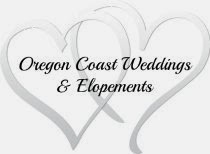 When choosing where to stay along the beautiful Oregon Coast, consider choosing a bed and breakfast if you're interested in a fabulous breakfast. I'm sure you've driven and seen the signs in front of all those nameless hotels and motels touting their "Free Breakfast". Most of the time their "free breakfast" includes foods in plastic wrappers, weak coffee and maybe some reconstituted scrambled eggs. Try finding a place to sit and eat in their 'breakfast room'! You won't find that at any bed and breakfast on the Oregon coast, or anywhere else in Oregon For help finding a quality bed and breakfast, just go to the Oregon Bed and Breakfast Guild website (obbg.org) where you'll find some amazingly wonderful b&bs that have been inspected and approved by the Guild, and all with complimentary breakfasts you won't soon forget. Here at Sandlake Country Inn we do breakfast a little different than most B&Bs. Our 4 course breakfast and home roasted coffee or other hot drink of choice is delivered outside your door! We're the Oregon Coast B&B for those people who crave a bit more privacy in the morning. The great thing about B&Bs is they are all different and you can choose one that suits your own personal style. If you can't make it to a Bed and Breakfast, but want to indulge in a fabulous breakfast, just make this easy recipe for your loved one or family and they'll feel as spoiled as if they were at a bed and breakfast! Make Berry Sauce in advance. Sauce keeps well in refrigerator for a week. Slice croissants in half lengthwise. Whisk together milk, eggs, and vanilla. Pour into a shallow dish. Dip croissant halves into egg mixture, coating well. Let soak in mixture for several minutes. I poke small holes in the bottom and top of the croissant to help absorb more liquid. Melt 1 tablespoon butter in a large nonstick skillet over medium heat. Add four croissant halves, and cook about 2 minutes on each side or until golden brown. Place cooked croissants on baking tray and keep warm in oven while cooking remainder of the croissants. Repeat procedure with remaining butter and croissant halves. Place bottom of croissant on plate, spoon berry sauce over bottom, place top croissant over berries and top with whipped cream. To thicken sauce, pour cornstarch/water mixture in saucepan with berries and bring to a boil. Cook an additional 3-4 minutes. If you prefer a thicker sauce, use more cornstarch/water. Use hot or refrigerate sauce which will thicken more when cold.